HOLLYWOOD, Calif. --- Zach Galifianakis, the comedic actor and host of Comedy Central's Between Two Ferns has licensed the concept of his brilliantly successful talk show to an Adventist Independent Ministry. The show previously featured Galifianakis interviewing celebrities and politicians. Galifianakis' character is frequently shown completely misunderstanding the often very sensitive and inflammatory issues discussed. The show is known for awkward exchanges as well as for being full of angry tension and heavy silences. 2.) 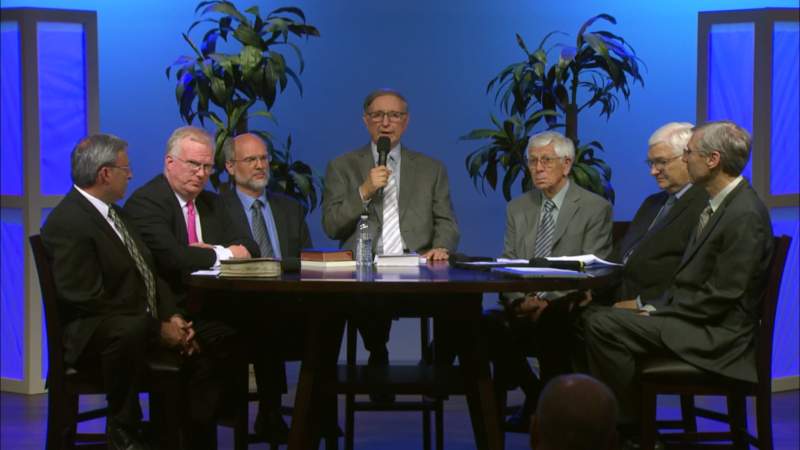 Instead of using celebrities, they try to cram as many stone-faced Adventist males over the age of 65 as possible around a miniature table in front of the potted plants. Galifianakis explained that "having a crazy amount of super serious old white dudes crammed around a tiny table talking about banning women from jobs they are more than qualified for is funny in its own very ironic way." Count me in. I am in that group of old fuddy duddies. Let the games begin! !